Since we're here in the manga at the Netherlands and Belgium, I decided to make a wallpaper of this moment. And the title is about Son Goku, because he couldn't prevent the death of Kuririn or Piccolo being shot. Hmmm thats a really nice idea, i like it alot. Hey Bura, great job! 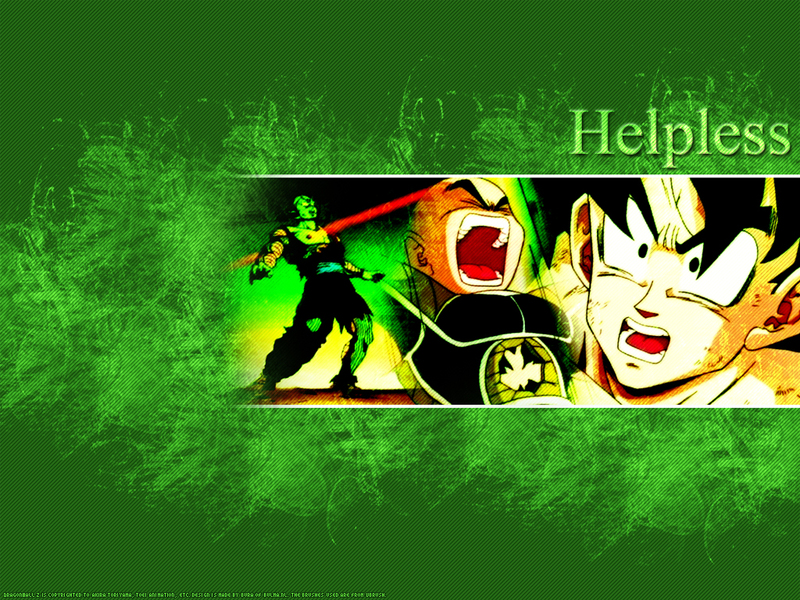 I love the green, and the great reference to those sad moments in dragon ball history. 4/5!